The college has highly prestigious and well regarded football academies for both men and ladies, which support the development of all players. The Academy is an inclusive and progressive programme which competes in the Hampshire College Leagues, League Cups as well as Regional & National Cup competitions. Our academies follow a structured training programme, providing specialist coaching twice a week as well as competitive matches. If you’d like to be part of the Academy please contact us. Tom is a First class Sports Coaching graduate who arrived as Head of Football in September 2014 and is responsible for the development our football programme. A UEFA B license holder Tom has also completed the UEFA A license preparatory course whilst working towards The FA Youth Award. 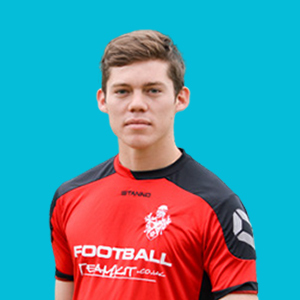 Tom arrives with coaching experience in both male and female football at The University of Gloucestershire, Forest Green Rovers and West Bromwich Albion as well as Bashley Football Club. Analytical roles have included spells with Exeter City FC and AFC Bournemouth whilst Tom has recently been appointed to the England Colleges FA National Coaching Staff. Former Republic of Ireland international Liam has a wealth of experience as a player representing Portsmouth, Birmingham City, Coventry, Barnet and Havant & Waterlooville resulting in 374 professional appearances. A UEFA qualified coach Liam has had managerial success at Havant & Waterlooville where he took his team to FA trophy semi-final. Liam joins Brockenhurst College after an eight year spell at Ebbsfleet United. Leon is a former Brockenhurst student who is working towards completing his FA level 2 and Youth Module 2 in the near future. A Sports Studies graduate Leon has spent time refining his coaching skills in roles with both Team Solent and Southampton FC. Leon also possesses personal training qualifications and is a level 2 gym instructor, which is of great benefit to the academy in offering our players a well-structured programme on and off the pitch. Since joining the Academy Leon has had a significant impact in improving our coaching environment whilst leading his side to a Hampshire Cup final. As a Football Academy member, you will benefit from our longlasting links with English Premier League team AFC Bournemouth and local Southern League side Bashley. Both teams provide development support. 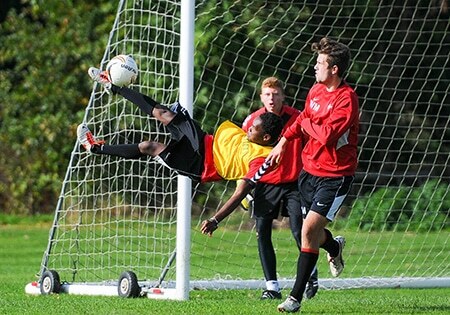 Training takes place on campus using the grass pitches and astro turf. All of the Academies compete in competitions throughout the season. These include county, regional and national competitions such as Hampshire Schools and Colleges Leagues and Cups, British Colleges Sport leagues and tournaments as well as other nationwide cup competitions. 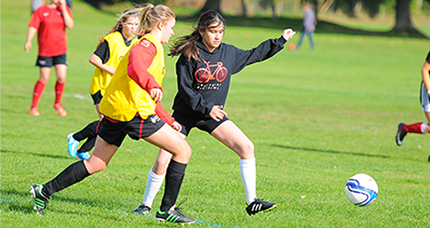 Academy football is a highly prestigious and well regarded programme which is open to both male and females. It is a pivotal factor in a brilliant college experience for our students and supports them to take the next step on and off the pitch. The Academy is proud to be part of a variety of leagues and competitions including: ESFA National Cup, Hampshire Colleges 1st, 2nd & 3rd Team Leagues, Hampshire Colleges 1st, 2nd & 3rd Team Cups, BCS Regional 6-a-side Competition and Hampshire Colleges 6-a-side Competition. Former members of our Academy have gone on to play for Liverpool FC, Southampton FC, AFC Bournemouth, Burnley, Hull City and also as international representative honours for England and Wales. Wales international, Sam Vokes attended Brock before he was a professional player, and so did Premier League star, Danny Ings. We've been crowned regional sevens champions two years running and this year we won the national Association of Colleges national sevens title. We also won the Youth Alliance League. These achievements mean a lot to me because I was the captain. We hold annual trials where you can find out more about our academies and how you can successfully take part in sport alongside your studies. The programme is open to all Brock students, however we expect our academy players to have a good level of playing experience in their sport and a willingness to learn and develop. You must also show full commitment to your team. If Football isn’t your thing, we offer four other sports for you to choose from. 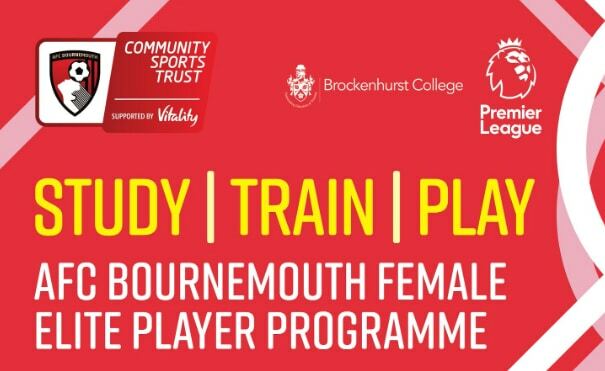 AFC Bournemouth Community sports Trust is working in partnership with us to offer a full time college programme. 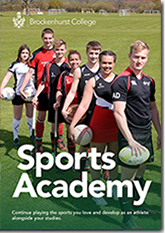 Find out more about the Sports Academy at one of our Open Events.